Shortly after posting the Oscar nominations, I got a couple of emails from people outraged that Jonny Greenwood’s original score for “There Will Be Blood” wasn’t even nominated, when some people thought it might be a lock to win the award. However… QUALITY isn’t the issue here. It appears the reason you don’t see the score on the nominee list has more to do with legality. Greenwood’s music was disqualified from Oscar contention at the last minute. 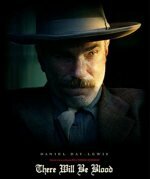 Well, as saddened as I am that the nomination didn’t go through (if it had, There Will Be Blood would have had the most nominations of any film this year, instead it’s tied with No Country For Old Men with 8 nods each), rules are rules. And if the sound track for Blood is out of bounds with the rules of the Academy, then it shouldn’t be included. Shame though… I loved that soundtrack.